What it is: Loup Ventures recently tested the accuracy of voice assistants in smart speakers. 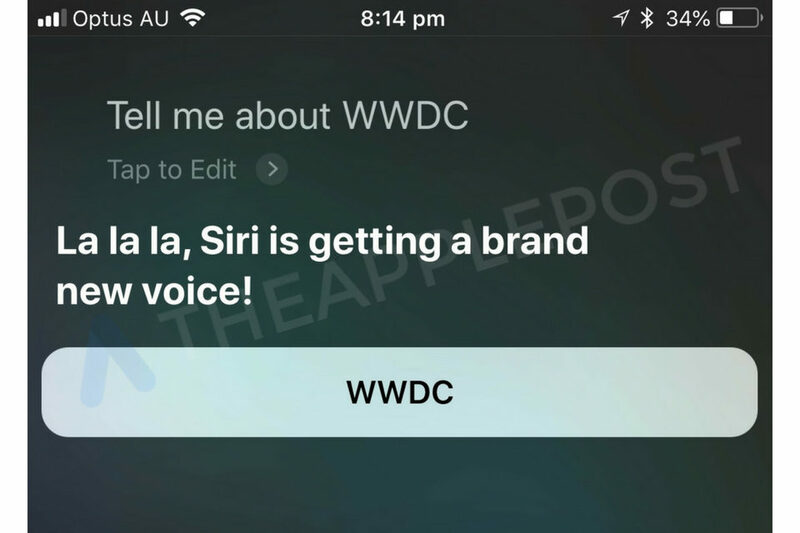 Siri started the voice assistant market but Apple let Siri lag behind rivals. Last year when Loup Ventures tested Siri, Siri could only accurately answer questions with a 52.3% success rate. 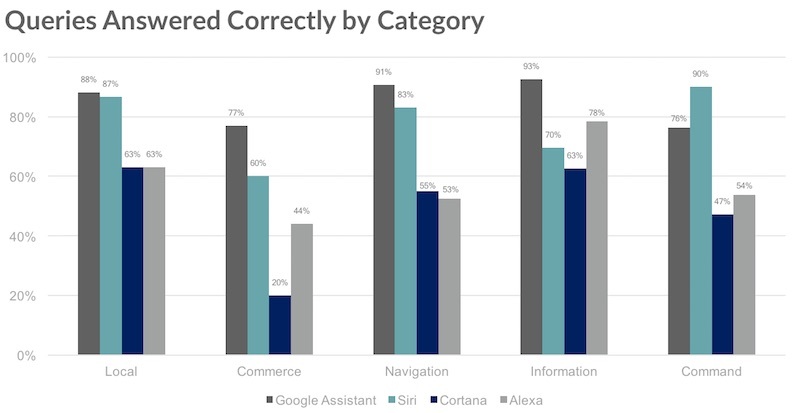 This year when Loup Ventures tested Siri, Siri improved to 74.6% success rate, but that’s still lower than Google Assistant that answered with a 87.9% success rate. The huge problem with voice assistants, especially on smart speakers, is that voice interaction is the only interface available. If a voice assistant isn’t accurate, that makes using the smart speaker frustrating. Even worse, most voice assistants (with the exception of Siri) only understand a handful of languages. If you speak Arabic, Mandarin, or Greek, most smart speakers won’t understand you, which severely limits their market and usefulness. Voice assistants should answer with over 90% accuracy for people to trust and rely on them. Until then, voice assistants are still amazing but still frustrating to use regularly. Siri and other voice assistants simply need to keep expanding language support and improving accuracy. 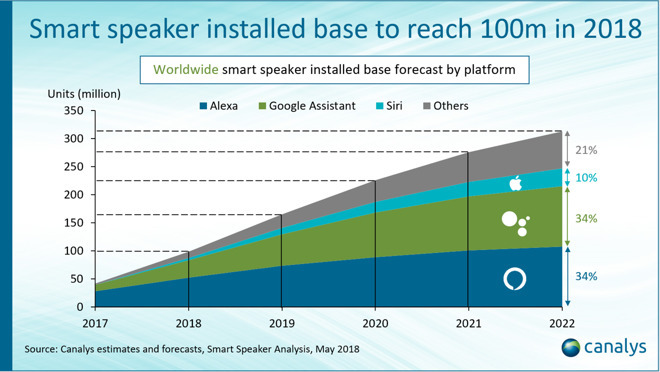 Until this happens, the smart speaker market will be a niche market much like early cellular phones were niche (and expensive) products until they became more popular with lower prices. Give the smart speaker market another few years until they can reach the 90% accuracy rate. Until then, most people will simply ignore smart speakers or try them out and then ignore them afterwards. Smart speakers in the home are a novelty, not a necessity. Until smart speakers solve a compelling problem in the home, smart speakers will likely be interesting luxuries that few people will rely on like they do with PCs and smartphones. To read more about the accuracy of different voice assistants, click here. What it is: Siri is slowly improving against rivals like Google Assistant and Alexa. When Apple introduced Siri, many people thought voice recognition was just a gimmick. For many people, it still is but voice recognition is now becoming an important user interface feature for wearable computers like the Apple Watch and smart speakers like HomePod. Without a screen and keyboard, the easiest way to control an Apple Watch or HomePod is through voice commands. Unfortunately, Siri defined the smart voice assistant category but quickly lagged behind rivals. Now the latest tests show that while Google Assistant seems most reliable, Siri has dramatically improved. On the other hand, Cortana seems to be the worst and Alexa seems lagging as well. The big problem with Cortana is that Microsoft lacks a mobile, wearable, and smart speaker product where voice assistants are crucial. So it’s probably safe to say that Cortana will continue to be the worst of all the voice assistants. Alexa dominates the smart speaker category but trails in the wearable and mobile market. Google Assistant dominates the mobile market but lags in the wearable market while doing well in the smart speaker market. Siri dominates the wearable market and it second in the mobile market, but third in the smart speaker market. All of this means that it’s pretty much a three-way race between Google Assistant, Siri, and Alexa. Apple needs to keep improving Siri. While Siri leads in the number of languages it recognizes, Siri needs to get better at responding to questions. Google Assistant and Alexa need to expand their language capabilities beyond a handful of languages. Ultimately all this competition means that voice assistants will only get better since they’ll have to compete against each other. The moment one voice assistant starts to lag, it will fall behind rivals, forcing them to catch up. So if you use Android, you’ll likely use Google Assistant. If you use Apple products, you’ll use Siri. If you use a low-cost smart speaker, you’ll use Alexa. Each voice assistant will likely are out its specialty niche while intruding on its rivals niche. All this is good news for users since this will make the voice assistant category improve rapidly. One huge advantage Siri may have in the future is the ability to respond to voice commands without the need to connect to the Internet first. Apple is developing an artificial intelligence chip specifically designed to do most of the4 work that rivals use the cloud on the Internet to do. Freeing Siri up from the Internet simply makes Siri more useful in times when an Internet connection may not be available. One day talking and responding to a computer will seem natural. Now we just have to make sure our computers don’t laugh or secretly record our conversations. To read more about the tests between various voice assistants, click here. 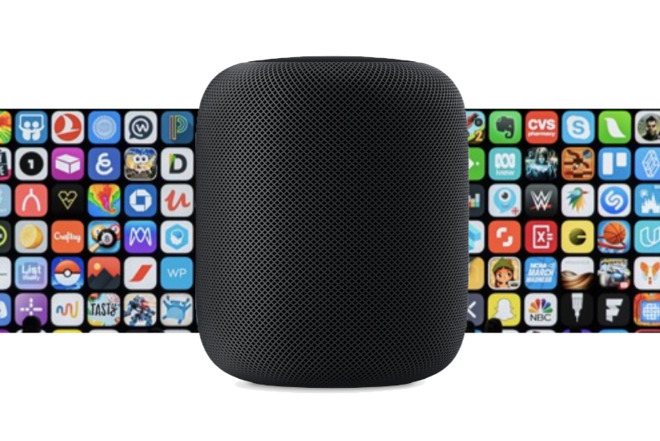 What it is: HomePod has 4% ion the smart speaker market and may reach 10% by 2022. Before Apple introduced the iPod, there were plenty of portable MP3 players available. What made the iPod so useful was its integration with iTunes, which Apple made available on both PCs and Macs. This made it easy to transfer and organize music on an iPod quickly and easily in ways that other MP3 players did not offer. The iPod may have been late to the portable MP3 player market, but they eventually dominated through the combination of iTunes with an iPod. Now Apple is late to the smart speaker market with HomePod. Even worse, Apple missed last Christmas by delaying the HomePod and offering the HomePod at a higher price than rival smart speakers. That means Google and Amazon have a huge head start in the smart speaker market. Siri is still considered second-best when compared to Amazon’s Alexa or Google’s voice assistant. Given HomePod’s late start, feeble Siri support, and high price, can the HomePod ever take over the smart speaker market? The answer is yes, but only if Apple’s HomeKit framework becomes more popular. Smart speakers are fine by themselves, but relatively niche products. Talking to your speaker to get the news or weather may be nice, but it’s not a necessary feature that most people absolutely need. Beyond voice recognition, smart speakers will only become useful when paired with smart homes, and this is where HomePod has a huge advantage. Google and Amazon are focusing on getting their smart speakers into homes to control lights, temperatures, or even appliances. The big problem is that only Apple’s HomeKit focuses on security to minimize the risk of hackers virtually breaking into a smart home. Think of the difference between Android and iOS where Android is open to the point where malware can easily infect android devices, especially given most people’s ignorance of basic security measures. Now imagine needing anti-virus software to keep your smart home from getting infected. That will likely minimize the appeal of a smart home. First, smart homes need to offer compelling features that existing “dumb” homes do not in the same way that a smartphone is far more useful than a traditional landline phone that’s fixed in one place. Second, once smart homes find a compelling feature, people must worry about security. Can hackers listen in and record conversations? Unlock a home? Turn the lights on and off? Getting your smart home hacked won’t be as scary as getting your computer data stolen, but it can still be unnerving to know someone can control your home and listen in to your conversations without your knowledge. That alone can make a smart home far less appealing to most people. A smart home needs a compelling advantage just like a wearable computer offers a huge advantage in tracking health data in real-time, which is simply not possible without a wearable computer. Until a smart home offers such a compelling advantage such as the numerous stories of the Apple Watch saving people’s lives by warning them in advance of changes in their health, a smart home will be a niche product and smart speakers will also be niche products. HomePod may fare better than its rivals, but it will only succeed when smart homes succeed. If that never happens, then expect HomePod to remain a niche product that’s interesting but far less useful than Apple might want. To read more about HomePod’s slow growth, click here. What it is: Siri has given clues as to upcoming improvements. Every year at Apple’s Worldwide Developer’s Conference, they reveal new software updates, features, and sometimes even new products. This year, Apple’s focus seems to be on improving Siri, their voice assistant. The huge problem with Siri is that while it was the first voice assistant on the market, it’s no longer considered the best compared to Amazon’s Alexa. Even though Siri understands more languages, Alexa is considered more conversational. So Apple will likely improve Siri’s capabilities because that’s one of the weakest features of HomePod. Perhaps what Apple should really consider is how many people rely on Siri through an iPhone, Macintosh, Apple Watch, or HomePod. Each use of Siri will likely be slightly different. For example, Siri on HomePod will likely focus on getting news or controlling devices in a smart home. That’s slightly different from someone using Siri on an iPhone or a Macintosh. On an iPhone, someone might use Siri to get directions to a restaurant or park. On a Macintosh, someone might use Siri to retrieve contact data or to open a program. For Apple to improve Siri, they need to improve Siri’s understanding of context and the ability of Siri to respond intelligently to more types of questions. HomePod has gotten rave reviews for audio quality but poor marks for Siri. By massively improving Siri, Apple can massively improve HomePod. Siri’s capabilities are holding HomePod back but not affecting iPhone sales. That brings up the question on whether people use Siri often or not. Here’s the real question. How many people even use voice assistants? Out of those people who use them, what do they use them for? Voice assistants are a new form of user interface, but they represent hands-free computing. The key is how to take full advantage of hands-free computing. Laptops helped free computing from the desk and desktop PCs helped free computers from mainframes locked in separate rooms. What will voice assistants free computers to do that they couldn’t do before? Until Apple answers this question, Siri may get better, but it still won’t be a must-have feature for anyone but HomePod owners. To read more about Siri’s hints of improvements, click here.